We grew up having limited clothes. It’s the least concern my mother would consider. Shopping for clothes is not a priority for my parents who have six kids to feed and send to school. So when a situation calls for new clothes or dress like school activity, birthdays or Christmas seasons, going to a department store was a bliss. I remember I made my parents bleed just so they can buy me a CAT uniform for a school activity (good thing that we had a neighbor’s daughter who just graduated on that same school and she sold or gave (I don’t remember) her uniform to me). 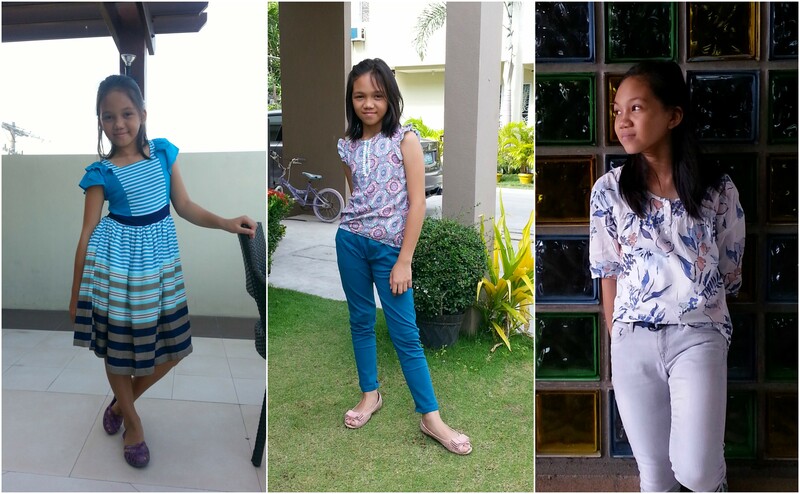 Hand-me-down clothes from cousins was a treasure worth to keep. I remember receiving them during Christmas and would value them so they’ll last long. The husband also values clothes too. He grow using hand-me-down clothes and realized the need to buy clothes only when it calls for it like if it no longer fits or if its already torn and that torn can no longer be fixed from sewing it. – Of course! Buying kid’s clothes needs kid’s opinion. But that doesn’t mean they get what they want too. Factors are considered – is the price within the budget? is it durable? will it last longer? is it useful? 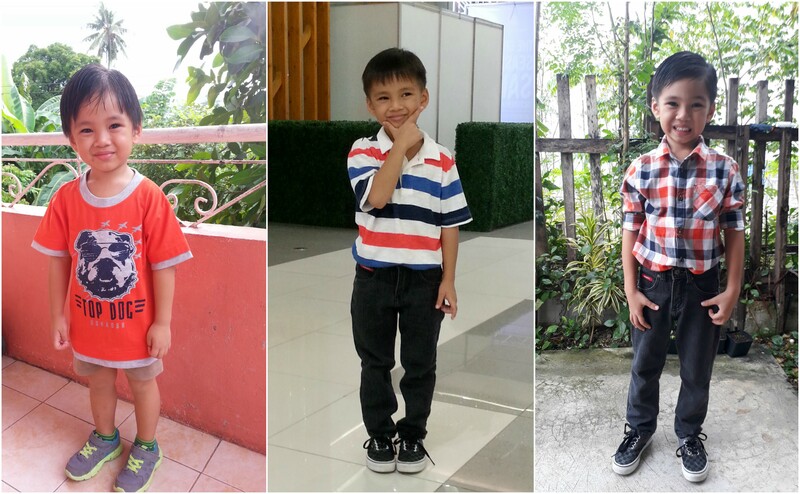 – Kids love to wear clothes of their favorite superhero or colors. They have the confidence to flaunt what they wore. – Kids love to explore here and there so they need clothing that gives them limitless activities. – I prefer to hand wash our favorite selected clothes. For us, hand-washing is gentle and thorough. But being a working mom, its hard to consume more time washing clothes considering there are other chores that needs to tend aside from laundry. We don’t have a househelp thus we spend our Saturdays doing the laundry. I don’t want to spend my weekend doing the washing but I don’t want to ruin our limited clothes either. That’s why I had my eye on Electrolux Washing Machines because they have a unique way of caring our favorite clothes, they do Electrolux Fashion Care. As what Rajo Laurel said, “Electrolux UltimateCare Washing Machine takes care of the clothes’ color and fabric. Laundry is not just about washing the clothes to get it clean but also taking care of the clothes to last longer.” This very much suits our family well since we seldom buy clothes, instead want to enjoy the clothes on an extended time until it no longer fits :D. Would it amazing if these clothes will still look as good as new when handed down to next younger generation. “From everyday items to delicate designer pieces, clothes will retain their softness, shape and colour with new UltraMix™ technology. Also, Electrolux UltraMix™ Technology delivers an exceptional deep clean even at 30°C, keeping your clothes vibrant and newer for longer. Pag makakuha ka ng electrolux washing machine, hindi ka na mag ha hand wash mommy! Hi! I was just browsing on FB and saw your post. Hey, you have your own dot com already! Maybe it has been a long time but nakita nako just now. Congrats! Tagpila pud kaha ng electro lux maam lots.. ako nya na e consider na brand pohon.